The HairMax LaserComb was developed to assist individuals suffering from the emotional effects of hair loss and provide laser therapy for baldness or thinning hair. After rigorous clinical testing, the HairMax LaserComb has been proven effective in over 90% of users. It is safe, having been shown to cause no unwanted side effects. Each HairMax LaserComb is built to exacting standards that result in a precision medical device that can provide a lifetime of use with unmatched efficacy. Results can be seen in as little as 12 weeks. The HairMax LaserComb is the only medical laser device FDA-cleared for the promotion of hair growth. Are you balding, or do you have thinning hair? The HairMax LaserComb stimulates hair growth, without the use of drugs or topical treatments. A leader in the hair restoration industry, the HairMax LaserComb was the first - and remains the only - medical laser device to be approved by the FDA to treat hair loss in both men and women. What benefits can you expect while using the HairMax LaserComb? The revitalization starts at your roots. The advanced phototherapy device can help boost circulation in your scalp to make it healthier. Hair follicles that were dormant may become active again. Individual follicles may start producing multiple hairs. You may notice that your hair grows in faster and thicker. Plus, your hair may be more vibrant and manageable, and you may experience less shedding. Clinical studies indicate that these results may be seen within 12 weeks. And with continued use, research shows that over 90 percent of HairMax LaserComb users will experience hair growth. In addition to being effective, the HairMax LaserComb is safe to use. Consumers and trial participants have never reported any serious side effects. To fit your budget, the HairMax LaserComb is available in three versions - 7, 9, or 12 laser modules. The device is a one-time purchase - there are no ongoing costs. Because hair restoration is a gradual process, HairMax offers hair fibers to help fill in the balding or thinning areas as your hair grows in. These fibers contain natural keratin protein. They blend in with your hair and create instant fullness and volume. 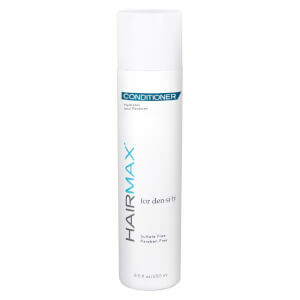 HairMax LaserComb Professional 12 - I have been using this product for close to a year. Although the result is not something to shout about, it has proven to be working. Hair fall is under controlled, and I can feel that my scalp is healthier with new hair popping out from my hair follicles. HairMax Hair Fibers - Medium Brown - I have a slight thinning on top with receding hair line and male pattern baldness beginning on the vortex. I use in conjunction with a hair loss formula and with a new phyto-4 brand natural follicle feeding topical solution. This hair fiber product works amazing. It totally conceals the thinning and boosts up confidence. My hair returns to my 20's in appearance. The receding hairline I have not yet achieved perfect balance, but the noticeable thinning at the crown disappears with this glorious innovation. I will continue to use until the other methods regrow visible hair. HairMax Invigorating Scalp Treatment - Love this product. If you have scalp issues, you need this product. 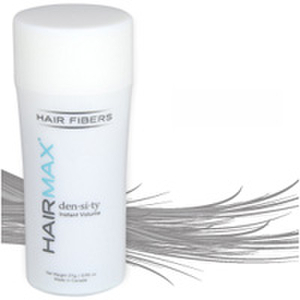 HairMax Hair Fibers - Sandy Blonde - This product really does what it says. It makes my hair look thicker. I'm really pleased and unless I suddenly sprout a full head of hair, I'll continue using it. Please note that the shade you choose is not SO important. Just get somewhere around the color of your hair. My hair is turning gray with brown still in it. Both the Sandy Blond and the Light Brown work equally well. HairMax LaserComb Professional 12 - Been using for three months in combination with minoxidil foam and l-carnosine, an amino acid supplement . The results are truly fantastic. I don't know really which product is having the greatest impact, to be honest I don't care. All I know is I was considering getting a hair transplant now I don't need one. It sounds crazy but it's true. HairMax Hair Fibers - Medium Brown - I have uneven thinning. Some extreme areas. I wanted something to hide or correct this. Rogaine doesn't work for me, but this does. It is quick to apply. I can even do Hot Yoga and it's OK. No running or smearing. I wish it was a bit less expensive so I could use it more frequently, But I have heard bad things about many other brands, and I am quite happy with this one.